Motorola has launched the Z6 music phone and S9 bluetooth headset with Hakko, a celebration of the freedom of wireless music. 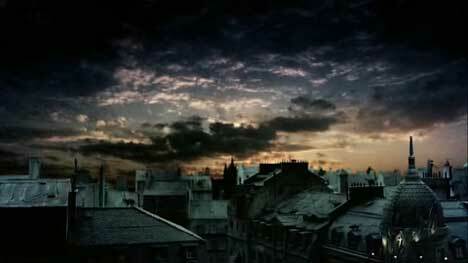 The clip begins with a scene somewhat reminiscent of Moulin Rouge, with a crow flying over the rooftops of Paris. Inside an apartment a young man lies on a floor, wrapped up in black fibres, reaching for his Motorola Z6 phone. As his hand reaches the phone he is released. The fibres leap all over the room, climbing the walls and disappearing through the floor. The man is left with his phone and ear pieces, able to leap and dance himself across the apartment floor to the music on his phone. 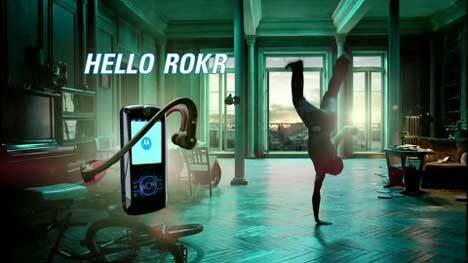 The Motorola Hakko ad was developed at Ogilvy, Beijing by executive creative director Nils Andersson, creative directors/art directors/copywriters Wilson Chow, Andrew Lok, Nils Andersson, and agency producer Erik Verheijen. Filming was shot by director Fredrik Bond via Sonny, London, and Dawson, Prague, with executive producer Helen Kenny, director of photography Ben Seresin, producers Monika Kristyl and Lara Baldwin, and production art director Jeremy Hindle. The ‘Hakko’ commercial was shot over four days in a full-sized Parisian apartment, using fifteen kilometers of wires, a crew of professional wire wranglers, a professional acrobat, a three-ton camera rig for cinematic movements, and an assortment of birds and cats. Post production was done at The Mill, London, by producer Ben Hampshire, colorist Paul Harrison, Flame editors Ben Turner and Jonathan Box, 3D editors Hitesh Patel and Will O’Connor. Editor was Andrea MacArthur at Peep Show, London. Music was produced at Dead Mono, Stockholm. So why the title Hakko? Hakko is the name of a company producing soldering irons and related equipment. So is there a connection with the disposal of soldered cables in the Motorola ad?